Have you ever just jumped into something because you thought it was easy? Well, here are seven REALLY important things we learned about raising turkeys this year! 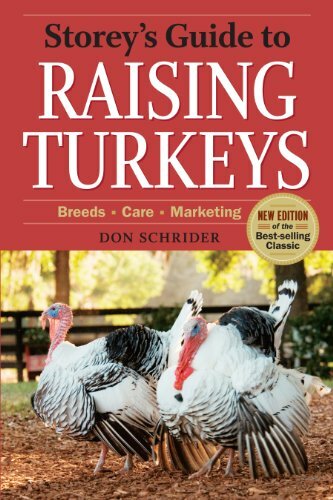 Seven Lessons You Need to Know About Raising Turkeys! Broad Breasted Turkeys eat... A LOT! They also grow extremely quickly, so that kind of makes up for how much they eat in a way. Although we have our turkeys in with our chickens, and they have a very large run, and even though we let them free range around the 3/4 acre property fairly often.... the food costs for the poultry skyrocketed! My husband estimates that a full grown tom (male turkey) eats about the same amount as 5-6 adult chickens. We have 31 chickens, and with the four adult turkeys (we harvested 2 of them during the summer), our poultry feed cost actually doubled. At this point, we just view this experiment as an investment in good holiday turkey meat, as well as meat we can preserve and freeze for later. 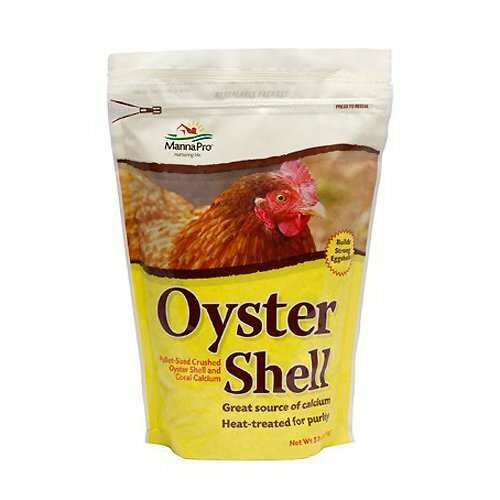 We generally fed our birds all flock feed, fresh vegetables from the garden, and oyster shells for calcium (or ground up eggshells---here is an article about how to make your own calcium powder from eggshells) for your chickens...or especially yourselves! When I am home, I also let them out of the run so they can forage around the property. There's lots to do and eat! First, a bit about turkeys. Turkeys have been around for centuries, and have actually been bred on purpose for meat for over 2,000 years. In North America, there are two basic types: Heritage Breeds and Broad Breasted Breeds. Heritage breeds actually almost became extinct a few years ago because farmers were so concentrated on raising the broad-breasted variety due to public demand. Heritage turkeys are the original birds that live in the wild. They reproduce normally, and are able to fly as well. Heritage breed turkeys don't weigh as much at maturity (up to 30 pounds), and they have less fat than the broad-breasted varieties. Heritage breed turkeys are closely related to grouse, pheasant, etc. The reason this type of turkey is not farmed as much is that the heritage breed meat-to-feed cost is higher (for large poultry operations), therefore cutting down on profitability. However, I don't think the difference would be so great for just the two of us. We are thinking about finding out! What sounds like a good idea to us about raising heritage breed turkeys is that we may be able to get some poults (or turkey chicks) from them and continue the turkey life cycle on our homestead. Because they are not cross-bred for meat purposes, they are able to live a more natural life, and therefore, if we want, we can actually keep some of them for eggs too. They also don't eat as much as broad-breasted turkeys. In addition, they are reported to have amazing personalities (just as the broad-breasted turkeys do). You can find out more at Countryside Daily. There are two main types of broad-breasted turkey breeds: White and Bronze/Brown. The poults (turkey chicks) we got from our friend were the beautiful bronze/brown types. They just glow with iridescent lovely feathers. Evidently, the turkeys you find in the stores at Thanksgiving time are the White BB turkeys. The large poultry farmers like these types better because the turkeys dress out cleaner than the bronze/brown turkeys. The bronze/browns, however, are GORGEOUS, and are what people usually identify with our American version of a turkey. Broad Breasted (BB) turkeys get HUGE. They (the toms) quickly grow to about 50 pounds. Most large turkey operations allow them to grow to between 15 and 30 pounds, then freeze them for the holidays. Obviously, the meat to feed cost ratio of this type of turkey versus the heritage type is much better. We didn't know this at the time, and as our turkeys became these mammoth birds, we let ours just keep growing. As far as reproduction, the broad breasted turkeys are not able to reproduce without help because of the size of their breasts (and trust me....a mature tom has HUGE breasts...pretty unbelievable. Creating a reproduction system for BB turkeys is not something my husband and I want to delve into right now. A note about mating: We had two toms and four hens. The toms did indeed attempt to mate with the hens. We watched them attempt several times, and it became evident it was just not possible. As of the writing of this article, our one remaining tom is unable to even attempt to mate because he gets around very slowly and is not able to mount at all. Not a great lifestyle for a young male. Keeping BB turkeys long term is not an option because of how large they get. Their size causes problems with their joints, their respiratory system, and their heart as well. It's actually kind of sad watching them grow and (once we realized), knowing that they were going to suffer if we kept them alive. My gosh, I just have loved and still do love our turkeys. They develop close-knit family relationships--even with the chickens. They also attach to humans. One of the hens, in particular, would follow me around like a puppy. She went where I went! It was awesome! The sounds they make are unique. Clicking, chirping, and especially the gobbling (which only the toms do) has provided tons of entertainment for our family, the neighbors, and visitors alike. I have just loved having our turkeys. I honestly can't imagine our homestead without them. Here's Mama! I had left the sliding door to our bedroom open, and she decided to come visit! Turkeys become very attached to their owners, their hens, and in our case, even some of the chickens. When we let them out of the run to go forage all over the rest of our property, you can hear them calling to each other. They are great birds in terms of taking care of those they feel are part of the family. 5. Turkeys Lay Amazing Eggs! The eggs are wonderful! They are a little larger (but not much) than a large chicken egg. They are pale cream with brownish speckles. It's the neatest feeling to know that your turkey hens are laying for you! They don't seem to lay as many as the chickens do, however. Also, one of our hens became terribly egg-bound, and we couldn't save her. It was a tragic time. But I do love turkey eggs! The two speckled eggs are from Mama Turkey. Click here to Subscribe to the HHH Newsletter! 6. Want a TON of Meat? Go BB Turkeys! PLUS, You Can Use ALL the Parts! Well, we had to harvest one of our big toms (Mr. Big) about 2 months ago. He became so large he could barely walk, and he spent most of his day under a tree panting. Now, it's not that hot up here in the summer, and the way he was panting didn't make sense. Finally, when he stopped walking all together, and we had to bring him his feed/water, we realized his time had come. When my husband harvested him and cleaned the carcass, we got a big surprise. The organs did NOT keep up with the growth of his body. His heart was very small, and so were his lungs. When I did some research about this, I found that this is common and expected in broad-breasted turkeys. They are meant to be slaughtered after only about 5-6 months, max. He was older than that, and his size was definitely taking a toll on his organs. His legs, too, were not able to hold him up any more. This turkey was probably easily 40 pounds, maybe more. We could not fit him in the oven...No way. We ended up crock-potting some of the meat, and freezing the rest. Now that the meat has been frozen for awhile, I may try some canning or jerky! P.S. You can use ALL the turkey parts! See my article on how to make turkey bone broth for health and deliciousness! One of the things I have loved best about our turkeys is that they seem to have overcome an awful lot in their short lives. One got bit by something---we think a small snake---and he lived through it. He suffered for about a month with a very swollen ankle, we kept draining the pus, and he finally came through with flying colors. His name is Golfball (because his ankle is now the size of a golfball--and there it stays). Seriously, if I didn't know what I know about BB turkeys and how they are not meant to live even this long, I would keep him forever. Golfball also caught a respiratory infection at one point. His eyes started foaming, which freaked me out. When I called around and found out about this, I discovered that's what it is. Our choice was to feed him antibiotics (no pharma for us), herbal remedies, or just let him gut it out. He ended up being better after a couple days with no interventions. I have read that turkeys are susceptible to a great many more poultry diseases than chickens. However, we were so fortunate not to have had to deal with these. I had also read that turkeys and chickens should not be housed together. I had also heard that they could. We decided to go for it, and put them all in the same VERY large run. Our poultry run is probably a good tenth of our property at least, has lots of natural juniper trees and brush, and also contains two coops---yes, we have two. There have been no problems at all. Even though they grow so quickly, and there is indeed a demand on their joints and organs, they remain happy and sociable birds. Well, after our experiences with the broad breasted variety, these past months, I would say this: If you want to raise a great turkey for meat for the holidays, the BB variety is it. Just don't get too attached and keep in mind the feed cost is an investment. If, however, you are looking to have turkey eggs, possible poults, and a little turkey family---go with the heritage breeds. Next year, we will probably get another couple of the broad-breasted variety because we are familiar with them now. We will also get between 4 and 6 of one of the heritage breeds! I'll let you know how that goes! What are your experiences with turkeys? Do you know anything about raising the heritage breeds? I'd love to know your experiences and thoughts! 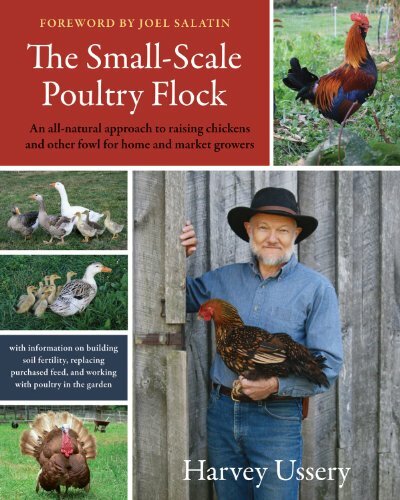 And, if you want to know about what happens with an Egg-Bound Turkey Hen, follow the link! I hope you'll comment, especially if you raise turkeys! We can always use tips and hints! P.S. If you haven't done so yet, go ahead and sign up for our Newsletter and never miss a thing! I love giving things away, and as a free gift from me, you'll receive a download of my eBook, How to Relax Using Herbs. It's quite helpful, I can truly attest. You can find this post on these blog hops along with TONS of other great simple life and homesteading articles! Homestead Blog Hop, Around the Homestead & Home, Our Simple Homestead Hop, Homesteaders Blog Hop, and Homestead Bloggers Network! Disclosure: There may be affiliate links in this article. If you would be so kind to click through (many are Amazon), and make any type of purchase (not necessarily the product clicked upon), I will earn a very small commission. I am hoping one day these will add up and allow me to continue with my blogging habit! Thank you for supporting HHH Homestead!